The vast Texas landscape is diverse, rich, and wild. 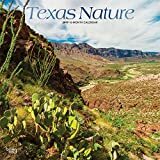 With wide-open prairies, lush wetlands, pine forests, windswept desert, fertile plains, sandy shores, and stunning wildflowers, the Lone Star State abounds in beautiful scenery. 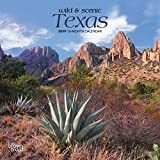 Featuring glorious photography, this deluxe wall calendar offers a Texas-sized feast for the eyes. 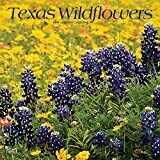 Dazzle your senses with the brilliant, bold hues in the 2019 Texas Wildflowers wall calendar. 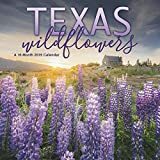 Schedule your next wander through the wildflowers in early spring, when the fields are bursting, using this calendars spacious grids. Sixteen-month wall calendars include each month in 2019 as well as the last four months of 2018, printed on paper certified by the Forest Stewardship Council. 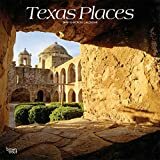 The Lone Star State of Texas shares a glimpse of its glorious landscape via these twelve stunning photographs. You will also get to know this fascinating state better in our unique calendar that features suggested destinations, annual events and helpful websites adding even more enjoyment to your future Minnesota road trips. The large format wall calendar also includes six bonus months of July through December 2018; large daily grids with ample room for jotting notes, appointments and reminders; moon phases; U.S. and international holidays. Its like a whole other country in the Lone Star State. 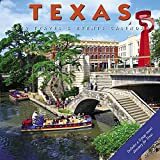 From breathtaking landscapes to historical sites to buzzing metropolises, Texas is packed full of gorgeous scenery to draw you in. 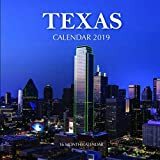 The 2019 Texas sixteen-month wall calendar includes each month in 2019, as well as the last four months of 2018, printed on paper certified by the Forest Stewardship Council. 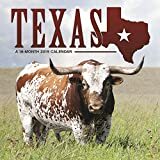 Fill your upcoming 2019, with 16 months of Texas all year round. This beautiful calendar contains 16 months and 3 mini 2018, 2019, and 2020 year calendars.